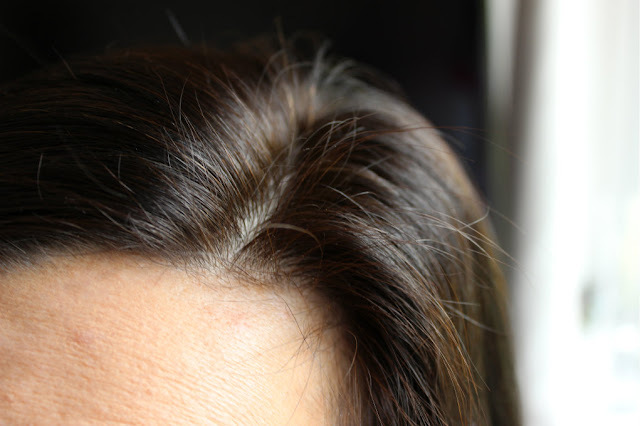 As you all know I have pretty dark hair and apparently bad genes as I have had grey hairs since I was about 18 and they have gradually gotten worse! Because my hair is so dark the greys hairs are quiet noticeable and I am very self conscious of them. I use to visit the hairdressers religiously every 6 weeks to get my hair coloured which worked out on average €50 per visit. On alternating visits I would get masking done (just covering the grey hair) and the next visit I would get full colour. I found this was getting very expensive as I am a college student and I currently saving to complete my masters next year so I decided to try to do it at home. I am skeptical of box dyes as I have such thick hair I would end up using a couple of boxes and I do not want to damage my hair. I consulted a friend who is a hairdresser and she told me the professional products I needed which I bought in my local salon services. I have not looked back it is great. I colour my hair now every 4 weeks as by the 4th week my grey is very noticeable and it now costs me approx €5.00 every time I colour my hair. This picture actually does my hair justice! In real life the grey is far more prominant. 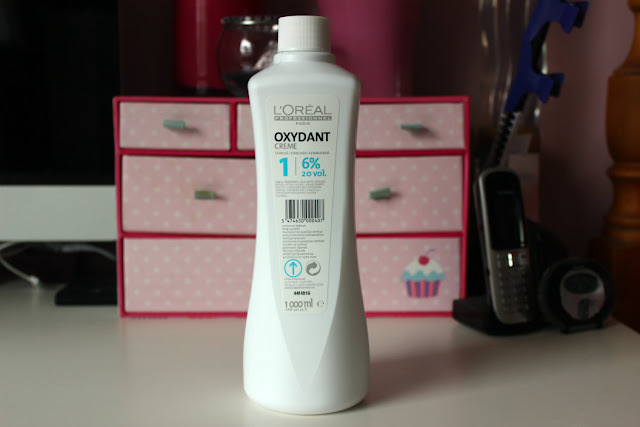 L'Oreal Oxydant Creme 6% 20vol. 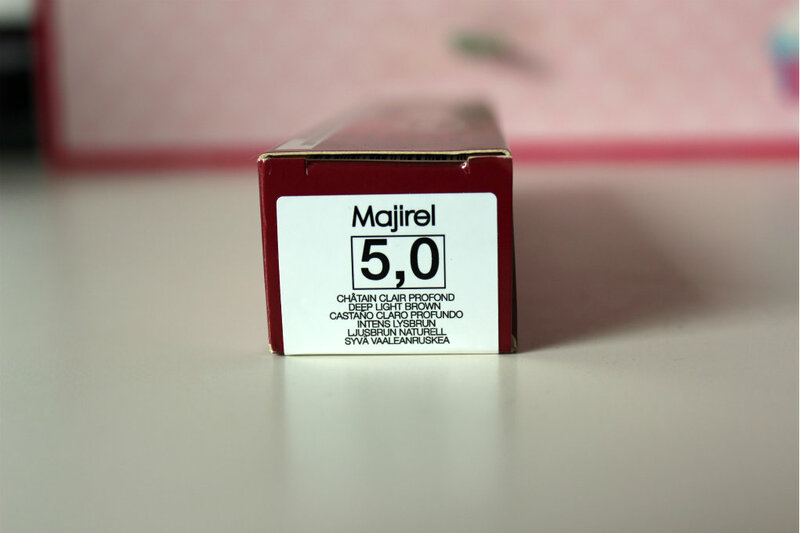 The colour I use is 5,0 Deep Light Brown. I have also used 4.0 but found it a little too dark. 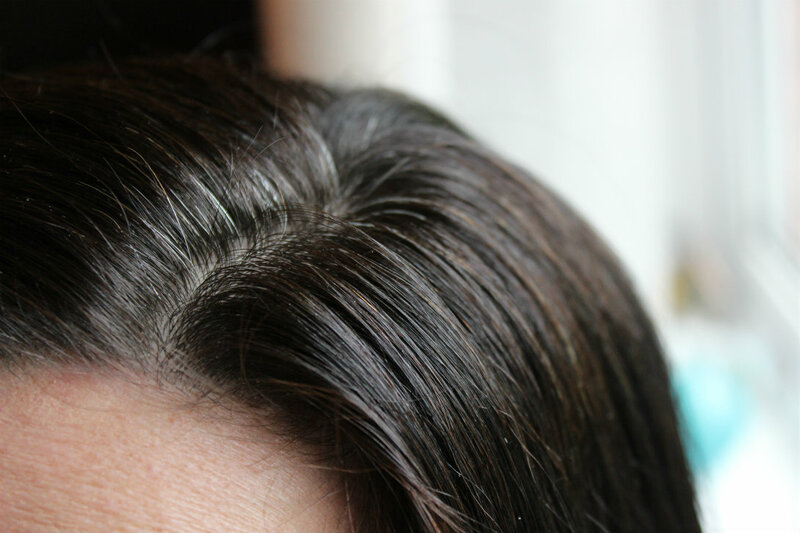 I would advise to go lighter than you think as it is easier to make your hair darker if you think it has ended up too light rather than vice versa. I did not think I would be deep light brown my hair is nearly black. 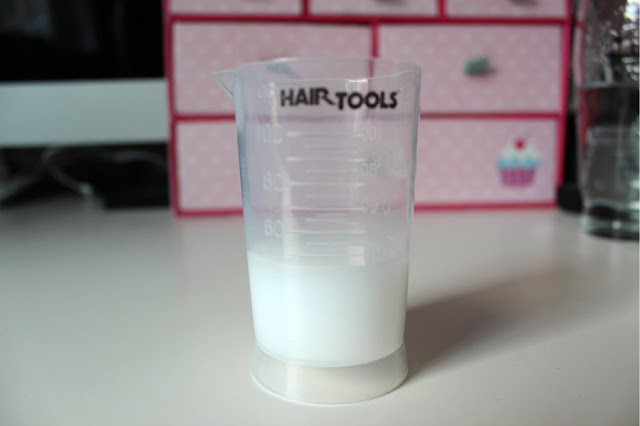 A plastic bowl, measuring beaker, a brush for applying the colour and gloves. 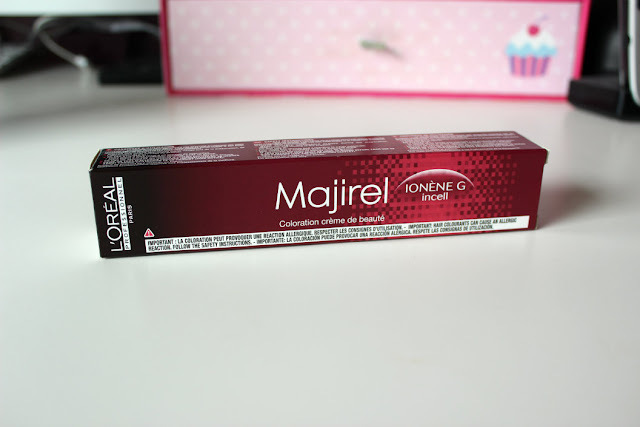 Put half the tube of Majirel colour in a plastic bowl. 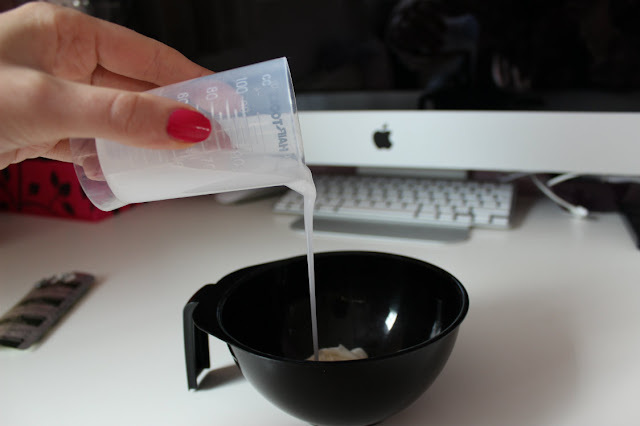 It has to be mixed in a plastic bowl as a metal bowl will cause a reaction. I only use half a tube for my roots and find I still have colour left over. If you want to colour all your hair you could use the entire tube and just double the amount of oxydant I have used below. 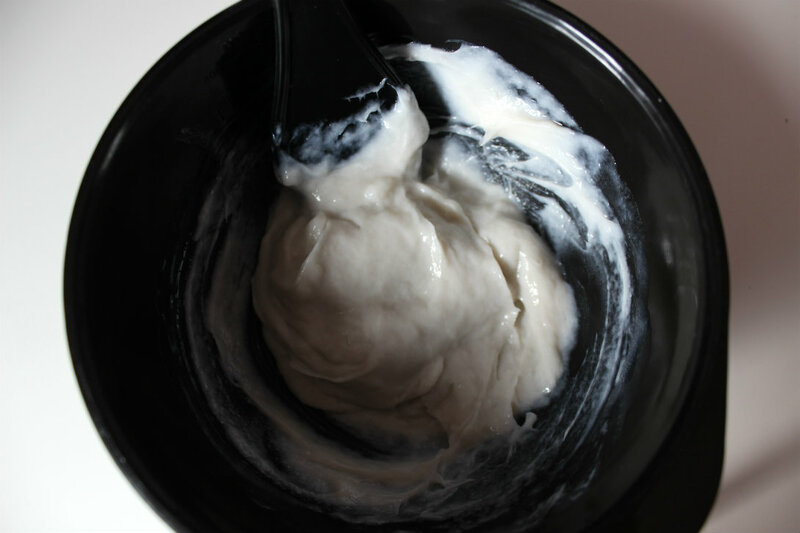 Simply pour the Oxydant creme into the Majirel. 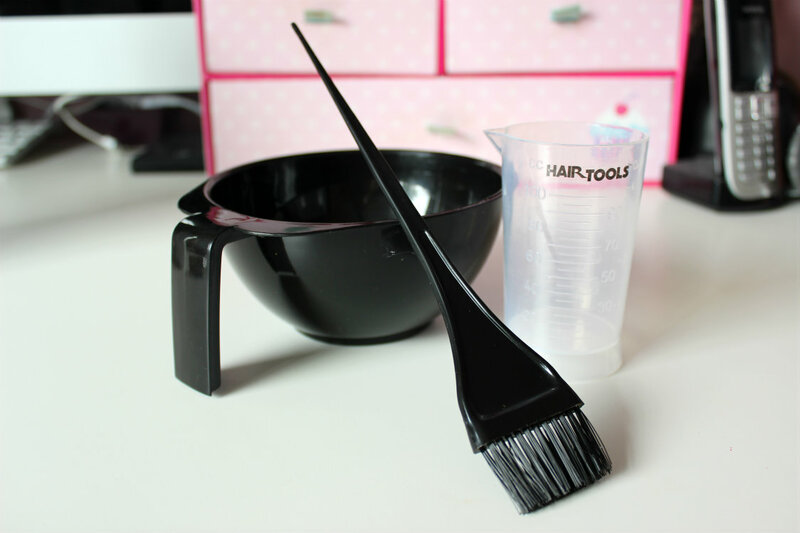 Mix both products with your brush until they are thoroughly combined. Next you must leave the mixture to sit for 5mins for the peroxide to evaporate. Whist you are waiting you can prepare for the next step. I like to wear a top which I don't have remove over my head makes it easier when getting into the shower. I also get an old towel or sheet and place it over myself to avoid ruining any of my clothes. 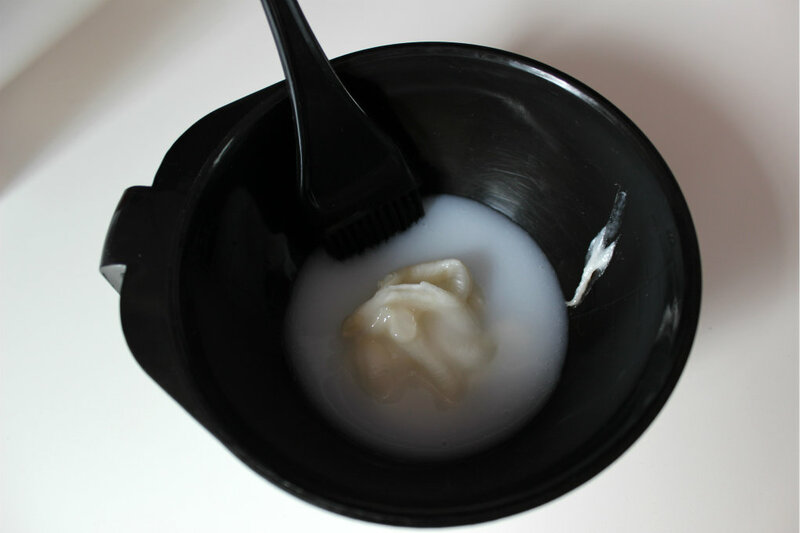 I rub Vaseline around my hairline and on my ears this prevent any dye getting onto my skin. My dad is the best and he does this step for me. 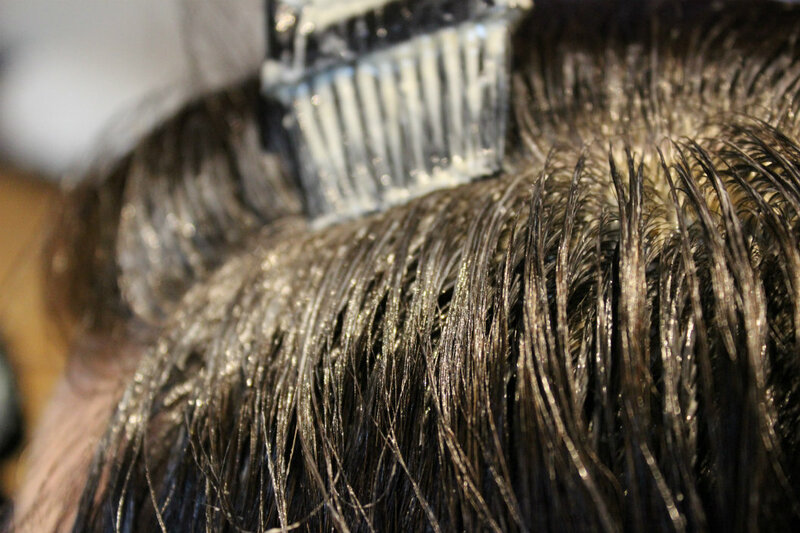 Section your hair with a comb and just paint the colour onto the roots working with small sections until your entire head is covered. I only cover the roots I never bring the colour through the length of my hair as I feel it would be very dark. I leave the colour on for 40 minutes. Then I get straight into the shower and tip my over and run the water through my hair to remove the colour before applying shampoo. I tip my head over so the colour doesn't run down my body. Then I just give my hair to washes with shampoo and it is done. *Disclaimer: I am not a professional hairdresser. If you have any doubts seek professional advice. I am the same as you have been dying out the grey for since my late teens, a couple of years ago I started colouring at home to save money. 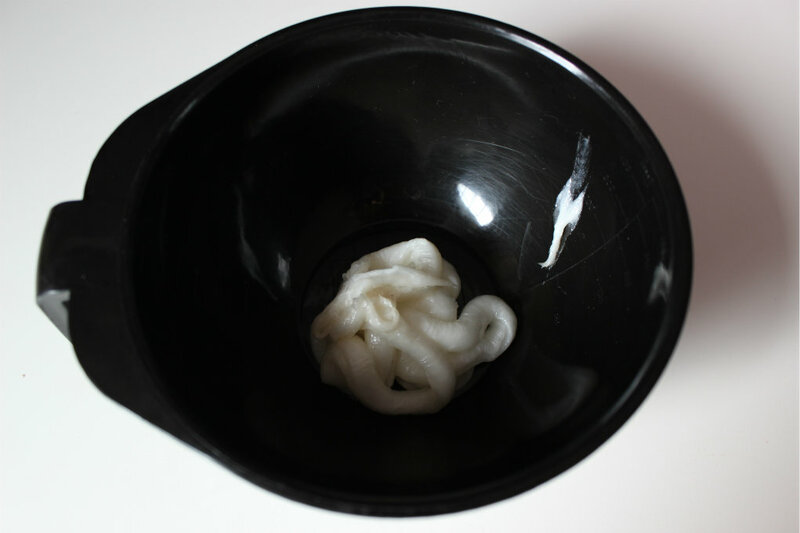 A word of advice everyone should patch test even if you use the product regularly for many years with out problems, reactions to hair dye are not uncommon. Wonderful post, btw - You have gorgeous hair, too! Your hair looks great! I totally relate about the greys:/ I got a few when I was regnant and they never went away. 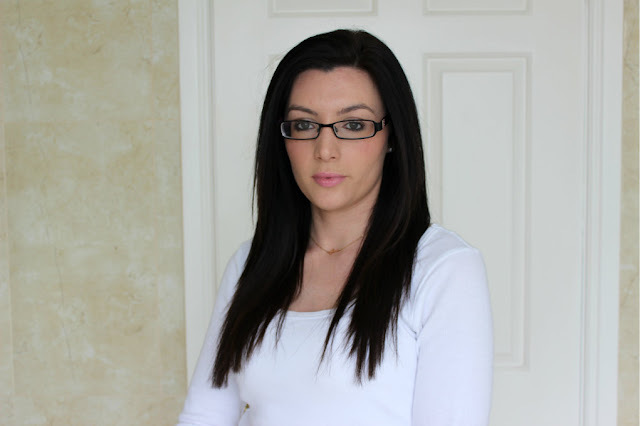 Stopping by from the blog hop and am now your newest follower:) Hope you can come check out Crazy Mama Drama ! Colour looks lovely...never have the balls to colour it myself....im red at the moment so have to go the salon every 3 months or so to keep it topped up and the roots at bay....fades so quick!!! I've had a grey hair pop up here and there since I was 20 and now I'm noticing them more and more. They're not quite to the point where I need to dye my hair every month but it's getting there. :( I'll probably dye at home as well.